Belly fat is one of the most stubborn types of fat for women lose. When people think about ways to burn excess belly fat, the first things that usually spring to mind are hundreds of abdominal crunches and intensive cardio sessions. 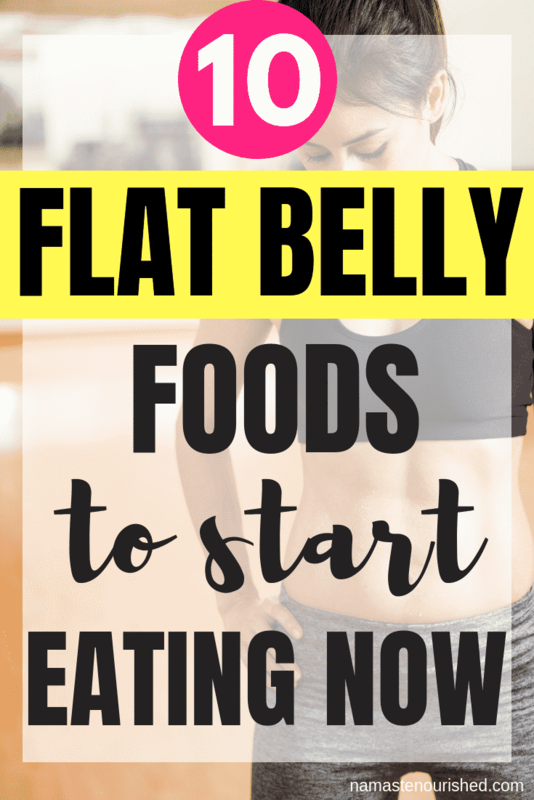 While it’s true that an intense workout like what you’d get from a 15-minute HIIT session is an incredibly effective way to blast belly fat (and all fat, for that matter,) what you might not know is that there are actually quite a few foods to eat to lose belly fat. Try adding these belly fat burning foods to your diet to help melt away excess fat. It’s not surprising that almonds are one of the top foods foods to eat to lose belly fat. Almonds are packed full of protein and healthy fats, both of which are highly satiating, meaning they keep you feeling fuller for longer. 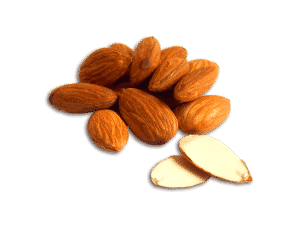 Additionally, almonds are high in fiber which helps to keep the digestive system functioning smoothly, which reduces belly bloat. And if that wasn’t enough, almonds are packed full of nutrients like magnesium which helps to regulate blood sugar levels and decrease cravings, and antioxidants which help to protect against oxidative stress. Fermented foods like kimchi and kefir are excellent in helping to reduce belly bloat and shed fat, due to their high levels of probiotics. 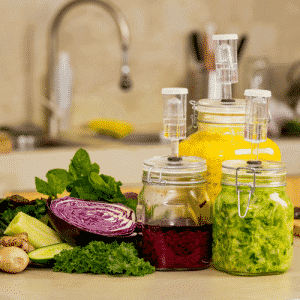 Fermented foods are packed full of beneficial gut bacteria, which helps to improve digestion, reduce bloating and improve overall gut health. One of the most beneficial fermented foods is actually a drink. Kefir is packed with healthy gut bacteria and unlike many other probiotic sources, the good bacteria in kefir actually colonize the gut, instead of just passing through. Oats are amongst the most nutrient-dense foods you can eat, along with being an excellent source of prebiotics. Prebiotics are very important as they are what feed the good bacteria in your gut, so it makes sense that your diet should be rich in both probiotic and prebiotic-rich foods. Oats also contain a high amount of soluble fiber which helps to lower cholesterol and and blood glucose. Mushrooms are low in calories, high in protein and are an excellent source of vitamin D. Combined, this makes mushrooms particularly good and helping to reduce belly fat. 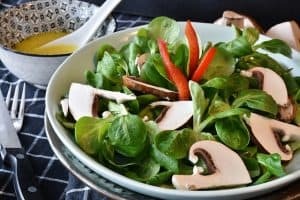 Low levels of vitamin D has been associated with an increase in abdominal obesity, and given that protein is the most highly satiating macronutrient, it’s a good idea to start adding some mushrooms to your diet if you want to burn belly fat. Chia seeds have experienced a boom in popularity in recent years, and for good reason. Not only are chia seeds are a good source protein and healthy fats, they are incredibly high in fiber. One ounce of chia seeds contains 11 grams of soluble fiber which helps to improve digestion and remove cholesterol from the body. Chia seeds are incredibly versatile – try adding a teaspoon full to your morning smoothie, add some to your overnight oats, sprinkle over a salad or make a delicious chia seed pudding. Coffee lovers, rejoice. You don’t have to give up your morning cup of joe if you want to burn belly fat – coffee can actually help you gain a flat tummy. The caffeine in your coffee helps to keep your digestive tract moving. This helps to keep you regular, which is important for reducing belly bloat and burning fat. And because coffee is a stimulant, drinking a cup of coffee every morning can help give you the energy you need to power through your morning workout and tackle the day ahead. 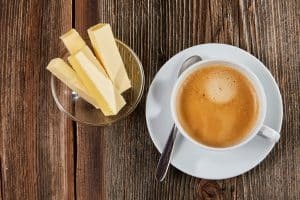 For an added nutrient boost, try adding some coconut oil to your coffee, and avoid adding sugar, syrups and artificial flavors and sweeteners. Eggs are one of the most nutritious foods you can eat. For a number of years, eggs fell out of favor due to being relatively high in cholesterol. However, scientists have since discovered that saturated and trans-fats are the worsts culprits for increasing cholesterol and contributing to heart disease. Additionally, the journal Food Chemistry published a study in 2011 that found that eggs may actually be associated with a reduced risk of cardiovascular disease. In addition to being low in calories, eggs are packed with antioxidants, protein, vitamins, minerals and disease fighting carotenoids. Eggs also contain zero carbohydrates and zero sugar, making them the perfect belly fat blasting food. Eating spicy foods is one of the best lazy ways to burn calories, and can contribute to a reduction in belly fat. Spicy foods temporarily boost the metabolism and increase the body temperature which helps to burn calories. Additionally, spicy foods are satiating, which keeps us feeling fuller for longer and less likely to indulge in unhealthy snacks. Scroll through any health living instagram feed and you’re bound to see avocados featured multiple times. This creamy fruit has become the cool kid in recent years. 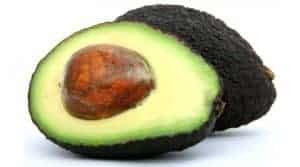 Not only are avocados delicious and highly versatile, they’re high in monounsaturated fat, which helps to lower cholesterol and reduce the risk of coronary artery disease. Avocado’s are also good source of fiber (both soluble and insoluble fiber) which aids with digestion and helps keep you full longer. In a study published in Nutrition Journal, the healthy, overweight male participants that ate one half of a Hass avocado with their lunch reported increased satisfaction and a decreased desire to eat. The humble banana may not be one of the popular health foods, but bananas have incredible health benefits, including the ability to help reduce belly fat. Bananas are an excellent source of magnesium and potassium, and like oats, are a good source of prebiotics, which help to feed the good bacteria in your gut. Bananas are also a good source of healthy carbohydrates which help to stop junk food cravings.